Former Comme Ça chef Brian Howard has opened Sparrow + Wolf in Chinatown, featuring a menu influenced by his international travels and regional American cuisine with live-fired cooking. Menu highlights include lamb tartare with sesame, apple and walnut; farm egg with wood roasted and pickled asparagus and caramelized feta; pork shoulder with hoisin milk stout glaze; and bento box with a rotating three-tier selection of oysters, shellfish, cured meats, terrines and seasonal condiments. 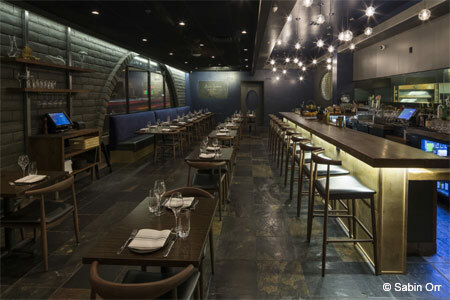 The restaurant’s beverage program includes hard-to-find craft beers, carefully selected wines and signature cocktails developed to pair with the ingredients used in the restaurant’s kitchen. Sparrow + Wolf, 4480 Spring Mountain Rd., Ste. 100, Las Vegas, NV 89102, 702-790-2147. Chef Bryce Shuman (NYC’s Betony) has partnered with Sydell Group to open Primrose at Park MGM. Part of the property’s transformation from Monte Carlo Resort & Casino into Park MGM, the restaurant is located between the lobby and pool and highlights a vegetable-forward menu inspired by the South of France, with a focus on open-fire cooking. Martin Brudnizki designed the venue to evoke a residence. Primrose, Park MGM, 3770 Las Vegas Blvd. S., Las Vegas, NV 89109, 702-730-6600. 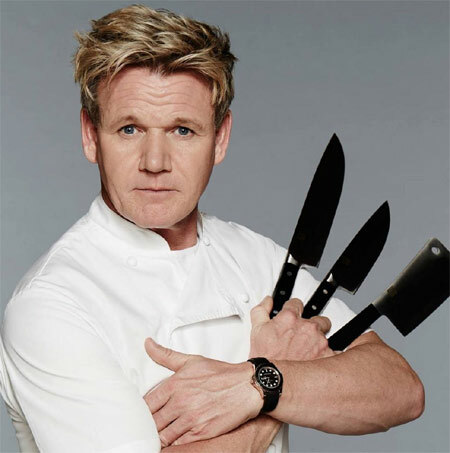 Chef-TV personality Gordon Ramsay has announced plans to open his Gordon Ramsay Hell’s Kitchen, set to debut in winter 2017 at Caesars Palace in the space currently occupied by Stripside Café & Bar. The restaurant will be Ramsay’s fifth in Las Vegas, all of which are located in Caesars Entertainment properties. At the centerpiece of the setting will be the kitchen, and it will be visible from every seat in the dining room. The newcomer will accommodate nearly 300 guests indoors and on a Strip-adjacent patio. A daily themed brunch, dinner and bar menu will comprise Hell’s Kitchen cast/chef recipes and dishes featured on the show, including many of Ramsay’s signature creations. Gordon Ramsay Hell's Kitchen, Caesars Palace, 3570 Las Vegas Blvd. S., Las Vegas, NV 89109, no phone. Ferraro’s Italian Restaurant & Wine Bar is offering a four-course prix-fixe menu by chef Francesco DiCaudo priced at $45 per person, served from June 10 through September 4. The seasonal menu includes choice of antipasti e insalate, such as grilled house-made spicy sausage with broccoli rabe, calamari fritti, Caesar salad or marinated Mediterranean octopus; pasta choice of spaghetti aglio e olio, gnocchi pomodoro, bucatini amatriciana or aragosta (arborio rice with lobster and black truffle); entrée choice of chicken parmigiana, veal scaloppini, roasted Scottish salmon, prime beef tenderloin or osso buco; and dessert of Ferraro’s dessert sampler. Bottles of wine may be added for $28 and some items include a surcharge. Ferraro’s Italian Restaurant & Wine Bar, 4480 Paradise Rd., Las Vegas, NV 89169, 702-364-5300. Urban Turban has expanded its already extensive vegan offerings with a full vegan buffet available on Tuesday nights from 6 p.m.-9 p.m. The vegan buffet includes such items as spiced tomato soup, crackling spinach salad with roasted sesame and almonds, Mumbai veggie burgers, bhel (rice puffs tossed in fresh basil, cilantro and tomato), peppery vegetable curry, sambhar (classic southern Indian stew), and vanilla bean suji halwa dessert. It’s priced at $12 per person, and 10 percent of every plate will benefit One Family Animal Sanctuary, a local nonprofit that specializes in providing lifetime care and sheltering for farm animals who have been abused, neglected or have special needs. Urban Turban, 3900 Paradise Rd., Ste. G, Las Vegas, NV 89169, 702-826-3217. Through June 25, 2017, the Hard Rock Cafe in the Showcase Mall on the Las Vegas Strip is offering its World Burger Tour menu, inspired by the taste and flavors from its cafe locations around the world. In May, featured burgers include English Breakfast with sliced ham, sausage and fried egg; Columbian Plantain paired with crispy plantain chips; Louisiana-inspired Jambalaya burger with Cajun mayo and jambalaya rice cake; and Korean-inspired Kimchi burger with Sriracha-seasoned kimchi and bulgogi sauce. Highlighted burgers for June will be the Tennessee BBQ with Memphis slaw, pulled pork and pig sauce; Argentina-inspired Tango Salsa with andouille sausage, salsa criolla and fried egg; Vietnam-inspired Banh Mi coated in tangy house-made Vietnamese glaze; and Spain-inspired Olé with red peppered Romesco sauce and goat cheese crumbles. Each entrée is served with french fries paired with a signature dipping sauce. Hard Rock Cafe, Showcase Mall, 3771 S. Las Vegas Blvd., Ste. 120, Las Vegas, NV 89109, 702-733-7625. BRAVO! 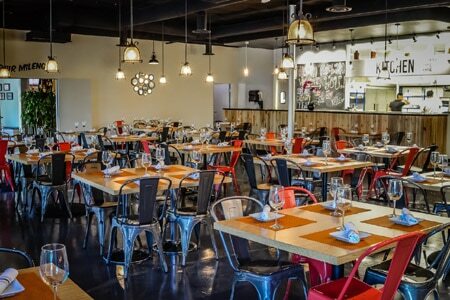 Cucina Italiana will celebrate the second anniversary of its Henderson location Memorial Day weekend by honoring local veterans. On Sunday, May 28, the restaurant will donate $2 from every berry cake dessert purchased to Las Vegas’ own Veterans Care Charity, with funds going toward providing food, clothing and basic needs to veterans as well as to help find jobs and permanent housing. In addition, to honor veterans on Memorial Day, Monday, May 29, veterans that dine in and present a valid military ID will eat for free. BRAVO! Cucina Italiana, Galleria at Sunset, 1300 W. Sunset Rd., Ste. 1950, Henderson, NV 89014, 702-433-4352. In celebration of National Hamburger Month, d.vino Italian Food & Wine Bar at Monte Carlo Resort & Casino will offer an Italian Burgerfest menu from May 2-28. Executive chef Martin Garcia has created five gourmet burgers using authentic Italian ingredients and made with naturally certified Angus beef with no added antibiotics. The menu includes a caprese burger with tomato, fresh mozzarella, basil pesto, dried oregano and balsamic reduction ($16); Marsala burger with wild rocket arugula, Gorgonzola, San Daniele prosciutto, wild mushroom and Marsala sauce ($17); veggie burger with grilled portobello, eggplant, zucchini, baby spinach, smoked mozzarella, oven-roasted tomato and lemon aïoli ($14); ala parmigiana burger with Roma tomato concasse, provolone and fresh basil ($16); and spicy burger with spicy Italian sausage, Taleggio cheese, caramelized onions, roasted peppers and calabrese sauce ($17). d.vino Italian Food & Wine Bar, Monte Carlo Resort & Casino, 3770 Las Vegas Blvd. S., Las Vegas, NV 89109, 702-730-7966. Alizé at the Top of Palms has appointed Joshua Bianchi as its executive chef. Bianchi began his culinary career in upstate New York and brings 10 years of experience. Prior to joining Alizé he was the opening chef for Drai’s Beachclub Las Vegas and Drai’s Vancouver. Bianchi has worked for several talented chefs around the country including chef Norman Van Aken in Florida; chef Tom Colicchio of Gramercy Tavern in NYC, chef Julian Serrano of Picasso at Bellagio and chef Daniel Boulud of Daniel Boulud Brasserie at Wynn Las Vegas. As Alizé's new executive chef, Bianchi leads the kitchen and directs all culinary efforts including purchasing, menu and quality. Alizé at the Top of Palms, Palms Casino Resort, 4321 W. Flamingo Rd., Las Vegas, NV 89103, 702-951-7000. After opening and helming L'Atelier de Joël Robuchon at MGM Grand Hotel & Casino since 2005, executive chef Steve Benjamin has left the restaurant to launch the new Waldorf Astoria Beverly Hills. 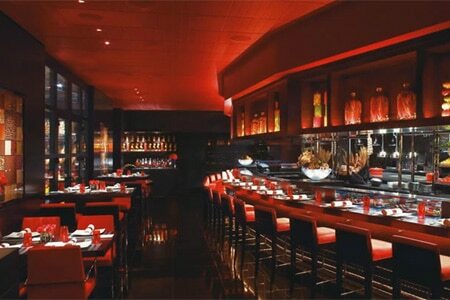 L'Atelier de Joël Robuchon, MGM Grand Hotel & Casino, 3799 Las Vegas Blvd. S., Las Vegas, NV 89109, 702-891-7358. Brothers David Morton and Michael Morton have named Patrick Munster the executive chef of their new restaurant, MB Steak, which has opened at the Hard Rock Hotel & Casino. Munster brings expertise in preparing steaks and inventive cuisine and is currently working with the Morton brothers and his culinary team to develop the menu. Originally from St. Louis, Munster is a graduate of the Culinary Institute of America in Hyde Park. He moved to Las Vegas in 2004 and joined SW Steakhouse at Wynn Las Vegas, where he remained for 10 years during which time he was promoted to chef de cuisine. Most recently, he was with Clique Hospitality serving as the executive chef of Bottiglia Cucina & Enoteca inside Green Valley Ranch Resort Spa Casino Las Vegas. MB Steak, Hard Rock Hotel & Casino, 4455 Paradise Rd., Las Vegas, NV 89169, 702-483-4888. Batali & Bastianich Hospitality Group (B&BHG) has announced the promotions of two longtime colleagues at Carnevino at The Palazzo Resort Hotel Casino. Arnold Corpuz has assumed the executive chef position and brings nearly 20 years of experience to the role. In 2004, Corpuz came to Las Vegas to be a sous chef at Wolfgang Puck's Spago in Forum Shops at Caesars Palace under chef Eric Klein, and joined B&BHG in 2014 as a sous chef at Carnevino. In addition, Ashley Costa is now the pastry chef for Carnevino and B&B Burger & Beer at The Venetian. She has worked for a number of restaurants and joined the company in 2010. Carnevino, The Palazzo Resort Hotel Casino, 3325 Las Vegas Blvd. S., Las Vegas, NV 89109, 702-789-4141.